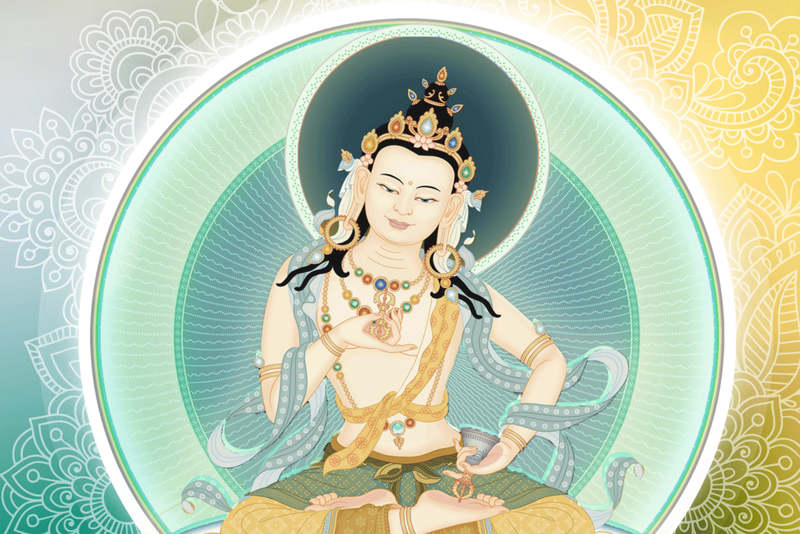 Buddha Vajrasattva is the aggregate of consciousness of all the Buddhas, appearing in the aspect of a white-coloured Deity specifically in order to purify sentient beings’ negativity. He is the same nature as Buddha Vajradhara, differing only in aspect. The practice of meditation and recitation of Vajrasattva is a very powerful method for purifying our impure mind and actions.